Give one of your attacking units +2/+2 this turn. 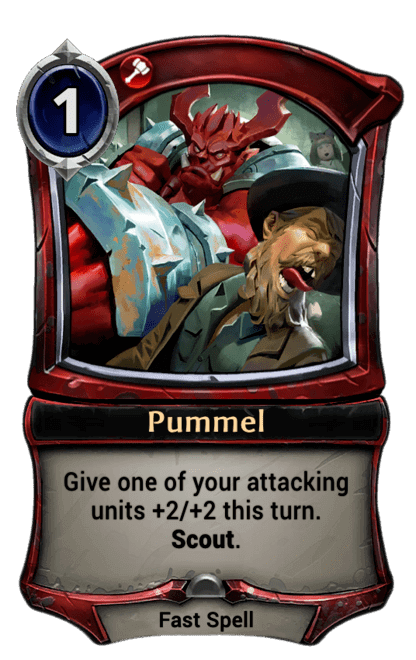 Scout - Look at the top card of your deck. You may put it on the bottom.